Grand Theft Auto 5 was first released on the 13th of September, 2013. In the second week of January, 2018, Grand Theft Auto 5 for PlayStation 4 was the top of the UK video game sales charts. It was also at number 8 for the Xbox One. Let that sink in – a four and a half-year-old game was in the top ten best selling games, twice, one of which was number one. At this point, Rockstar Games has earned life-long bragging rights in the industry. GTA 5 cannot be stopped. Come February 17th during the Take-Two Interactive investor call I’m sure we’ll hear about another major sales breakthrough. Will it be 90 million, or 95 million copies? I honestly doubt we’d already reach 100 million, but hey, even that wouldn’t surprise me anymore. This is insane. Competing for the top spot are hot competitors like FIFA 18, the one video game that pretty much everyone who owns a console and doesn’t actively avoid sports games owns; Call of Duty: WWII, a much-anticipated return to form for one of the industry’s best selling titles; Mario Kart 8 Deluxe, arguably Nintendo’s most widely accessible game; PlayerUnknown’s Battlegrounds, the fad that everyone and their dog are trying to jump into while it’s popular; Assassin’s Creed: Origins, a genuinely fantastic game which revitalized another major AAA franchise; The Legend of Zelda: Breath of the Wild, formerly known as the only reason to by a Nintendo Switch; and Forza Motorsport 7, which… has pretty cars? All of them games released in 2017. All of them entries in globally popular, well-established franchises. All of them flagship properties for major AAA publishers. All of them beaten to the punch by a four year old game that has been selling like crazy already, leading one to think that at this point anyone interested has already bought it. And yet here we are. This is absurd! 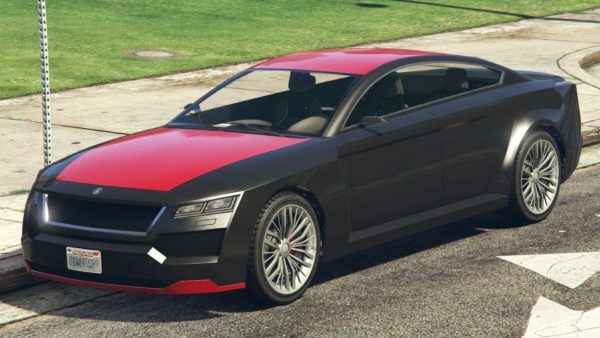 DLC vehicles like the Revolter, released every week, play a big part in keeping GTA Online relevant. GTA 5 is an outlier. An anomaly. It continues to defy how games distribution works (or at least should work). No game, no matter how popular at launch, could ever sustain itself this long. If this many people are buying GTA 5, imagine the sum total of players if one were to include those who acquired it through digital distribution (not tracked by these rankings), for free through giveaways or press keys (granted, this would be a minuscule drop in a huge ocean) and those who pirated it (which you absolutely shouldn’t). Much of the success of GTA 5 can likely be attributed to Online. 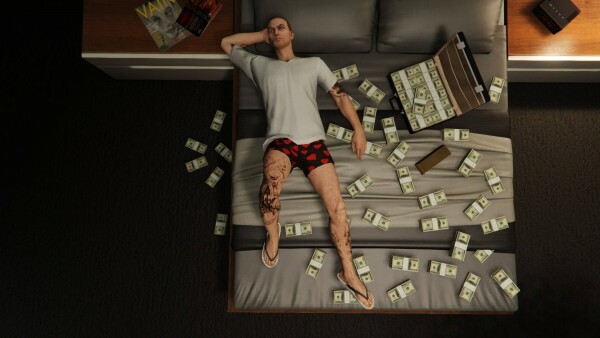 Word of mouth really has a major impact on game sales, maybe even more than all official marketing combined, and since everyone is playing GTA Online, everyone is talking about GTA Online – and who would want to be left out? The constant stream of DLC is certainly helping things, for it keeps the game relevant in news, relevant to players, and full of new content. Not only does DLC help sell Shark Cards, but indirectly helps sell more and more copies of the game. This undying interest has persisted in spite of the full price of the game not having been permanently lowered. Not once! When there is not some kind of sale going on, GTA 5 costs the same today as it did on launch day. That too, is unprecedented in the industry – but Rockstar can quite simply afford it, because massive hordes of people are still buying. What if it never stops? What if the world is just an elaborate simulation, and GTA 5 is a glitch in the matrix that will never stop selling copies until every living human owns it on all platforms it launched on, at which point the system will collapse and we’ll all wake up in some dystopian future where a machine-race placed us into the simulation? Or will GTA 5 become the source of world peace, the sole cultural link binding all of humanity together? Will it be the only element of modern society plentiful enough to endure into the far future, where it will be the sole remnant of our era for the scholars of the 40th century to study, who will assume people in our time rampaged across streets, used jetpacks, and relentlessly bothered players with Hydra jets?